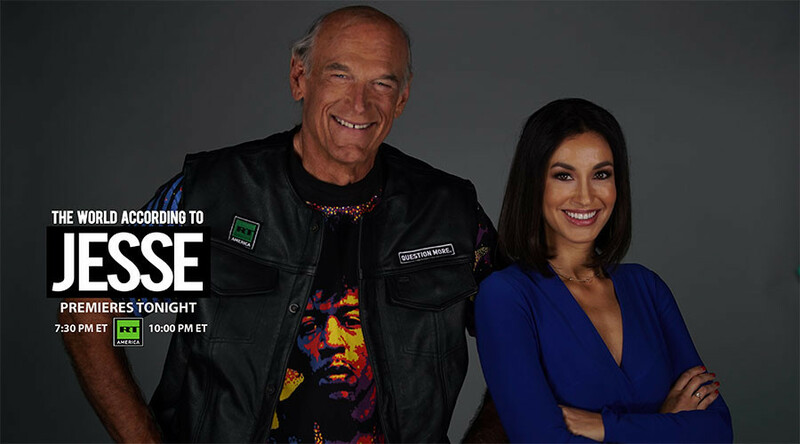 The premiere episode, airing September 8 at 7:30 PM Eastern time (2330 GMT), will feature Ventura alongside RT’s own evening news host and legendary journalist Ed Schultz, and will address issues ranging from broad mainstream media biases to complicated Russia-US relations. The episode will also be shown live on RT America's Facebook page. RT America channel airs from Washington, DC and is part of RT, the global television news network. Dedicated to the top US stories and most pressing issues, it is the proud home of "Politicking with Larry King”, “News with Ed Schultz”, Emmy-nominated “On Contact with Chris Hedges”, “America’s Lawyer with Mike Papantonio”, “The Big Picture with Thom Hartmann", award-winning financial show “Boom Bust” with Lindsay France, and "Watching The Hawks" with Tyrel Ventura, Tabetha Wallace and Sean Stone. In 2017 alone, RT America took home three awards at the prestigious New York Festivals, as well as eight Telly Awards. RT broadcasts 24/7 in English, Arabic and Spanish from its studios in Moscow, Washington, DC and London. It has a weekly TV audience of 70 million viewers in 38 countries, with an audience of 8 million in the United States according to top audience research firm Ipsos. It is also the most watched TV news network on YouTube, with more than 5 billion views. RT is the winner of the Monte Carlo TV Festival Award for Best 24-hr Broadcast, and a five-time Emmy finalist.